We are in the age of the internet. Adele’s Hello has been viewed 1.8 billion times, yet there are five other music videos on YouTube with more hits, culminating in Gangnam Style’s 2.7 billion view parody of the western status symbols rich south Koreans aspire to. Viral memes emerge and hit millions of page views in a day or two. Websites full of recycled content and filler with clickbait titles make up news stories to profit from the advertising revenue. False news engineered for the most gullible audiences makes tens of thousands of dollars a month. False news created by vested interests including foreign governments sways election results. Trivial stories that involve popular vloggers make headline news. Swedish video game blogger Pewdiepie reached 50 million followers last week and reportedly earns $12 million per year. His empty threats to delete his channel made headlines around the world. The top ten YouTube channels each make in excess of $5 million per year in revenue. Yet many people above the age of 40 have never heard of any of them. Part of what they have in common is what image-hosting site Imgur calls step 1: “Be good looking” although, as has always been the case even prior to the internet, that rules doesn’t seem to apply if the content is funny. This new class of creators and media is packaged into bite-size content that doesn’t require any critical thinking, often with a catchy title and thumbnail that oversell the contents. Clicking from item to item across quick videos, memes, images and articles seems to make a time-sink trap that captures internet surfers in their millions. Amongst the new population of content creators are people with various different personalities, histories and views about the world, ranging from the ordinary to the extreme. And just as in the responses to any feminist video online, there are then vloggers whose content is made up of critiques of more famous vloggers and their content. As Katie Hopkins has worked out, being sufficiently unpleasant and controversial generates clicks. It then creates responses that drives more traffic to the original content, and perpetuates discussion. There is then meta-debate about the creator themselves, attempts to shame them, and debate about what to do about them. Even publicising her embarrassing apology and substantial payment of damages for making false racist allegations of terrorist links against a muslim family gives her more notoriety and more clicks. 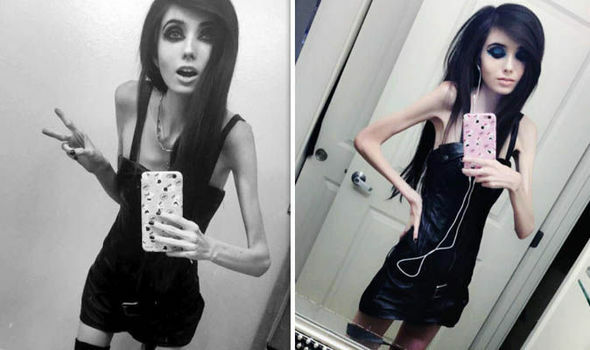 So it has been with the media rubbernecking the car crash of Eugenia Cooney’s weightloss, from a slim but attractive young woman into an emaciated role model of anorexia (weighing an estimated 4-5 stone) whilst denying she has a problem. A petition to ask YouTube to block her videos until she has sought help reached 18,000 signatures before being removed as inappropriate, and this has created a media circus with numerous vlogs and articles about her weight and whether this represents anorexia or not. Some have commented on the obesity of her mother and brother, and her childlike demeanour and role. Because she has chosen to put herself in the public eye, and to make money from her audience, she is considered fair game for discussion. Yet if she does indeed have anorexia (and from the little I know of the case that does not seem an unreasonable assumption) she is very vulnerable and likely to have very distorted thinking. In the UK, there might well be a case to section her under the mental health act for treatment if there was not an alternative explanation for her weight loss, because of the lack of insight and high morbidity characteristic of this condition. So there appears to be a dangerous incentive of clicks (and the cash from advertising that follows) for being controversial, and in this case, seemingly putting her own life at risk. Let us not underestimate the seriousness of eating disorders. One in five people with an eating disorder will die prematurely as a consequence of the condition, making it the mental health condition with the highest level of mortality. There is an increased risk of suicide, and an average duration of eight years for anorexia or five for bulimia, with less than half of all of those diagnosed making a complete recovery to the point they no longer meet the diagnostic criteria for an eating disorder. This is significantly more dangerous for your health than all but the most severe levels of obesity, and yet being too thin is often viewed as a positive characteristic and aspirational. The internet term “thinspiration” has nearly 4 million hits, with the top sites being pro-anorexia websites, with young women sharing tips and setting dangerously unhealthy weight loss goals. Teenage online model Essana O’Neill bravely exposed the truth behind her instagram profile, which had half a million followers, before quitting social media to focus on real life. She later posted about her insecurity, depression and body dysmorphia. But she was far from alone. Photoshopping of images in magazines has become ubiquitous. 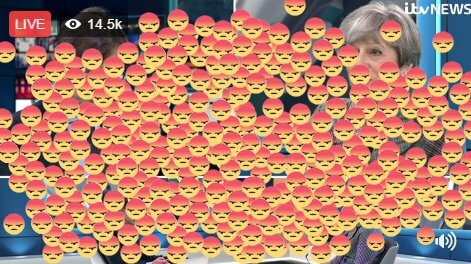 Various surveys have shown that half to two thirds of selfies shared by adults or young people on social media have now been edited. The fact that there are now dangerously thin vloggers denying that they have a problem and giving fashion and lifestyle tips to their followers must be considered concerning. It gives a new set of easily accessible role models that parents and clinicians may be unaware of, with very large audiences of young girls. Eugenia Cooney for example has 900,000 subscribers, who are predominantly teenage girls. There are several anecdotal examples of how this has been a trigger for eating disorders in girls trying to emulate them, and given 6.4% of the population has traits of an eating disorder, with most starting in this age range, that is highly concerning. On the positive side, there have been growing moves to prevent overly thin models being used in catwalk shows and magazines and to indicate when images used in magazines have been photoshopped (something I would strongly support), so some progress appeared to have been made to present healthier role models to young women. There are many positive messages about health and fitness out there too (personally, I particularly like the goal of being stronger rather than thinner). However, there is a huge challenge when it comes to legislation on the internet, because of the many countries that the vlogger, hosting company and viewer can be situated in. Whilst these logistical pitfalls fail to prevent propagation of eating disordered messages (or other forms of toxic content) on the internet, there is little that we can do to prevent more and more young people normalising or idealising unhealthy role models.